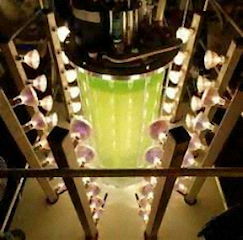 Diachrom Biotechnology Photobioreactors DIA-PBR, is a device that can contain and grow algae, cyanobacteria and other photosynthetic organisms under heterotrophic and mixotrophic conditions. Our PBR system is a controllable environment in which to grow algae, and where the supply of light, nutrients, carbon dioxide, air, and temperature can be controlled and regulated. 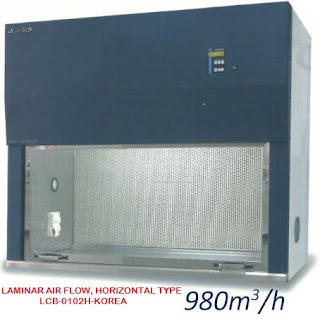 As an algae Photobioreactor is a totally enclosed system and there are several major advantages as the bioreactor can prevent contamination (from other algae species and bugs), and allows easier cultivation of one algae strain. It also offers better control over a range of other growing conditions, like the pH, light, carbon dioxide, and temperature. In addititon to this a closed system reduces evaporative water losses, and has lower carbon dioxide losses which all-in-all means higher cell concentrations. In other words there are more grams of algae produced per litre of water. Culture vessel 1L, 3L, 5L, 7L, 10L, 15L, 20L, 30L total volume. DIA-PBR with HMI (human interface touch screen) allow full control of pH, DO, temperature, level, redox, up to 8 autoclavable peristaltic pumps variable or fix speed, gas mixing and gas flow rate with up to 8 MFC's or rotameters. Advanced control functionalities include extra inputs like pressure, balances, online biomass, gas analyzer and others. HMI human interface touch screen, choose between One Touch interface for multiple Photobioreactors or an independent HMI interface for each reactor. DIA-NET SCADA software is a power full supervisory and data acquisition software engineered by Diachrom Biotechnology to fully manage and control up to 18 Photobioreactors online. Various LED Light Source available; as standard it is manufactured in three basic versions differing in size: 13 x 13 cm, 20 x 20 cm, or 30 x 20 cm. Standard color versions are: royal blue, blue, red, green, white, infra-red, and red-green-blue. The LED Light Source comes with an adjustable stand. Other features available on request.